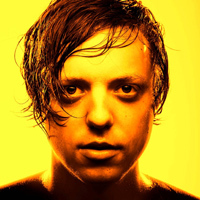 Robert Delong In-Store at Easy Street – April 18th! One man electropop musician, Robert DeLong, will be dropping beats with his drums and gaming consoles at Easy Street Records on Thursday, April 18th at 7pm. DeLong is a Seattle native whose new single, Global Concepts, is taking the airwaves by storm. He will be playing at several festivals this year but to watch him up close as he creates his loops will be a special treat for us Seattlelites. Easy Street Records is located at 4559 California Ave SW, Seattle, WA 98116 in the West Seattle Junction.